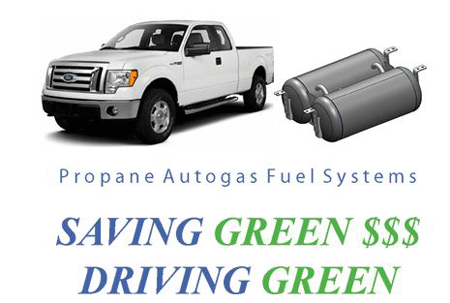 For more information, Please visit our sister site at eco-autogas.com. With the price of fuel, propane car conversions are a popular alternative to high prices at the gas pump. Propane is a viable alternative fuel option since it has been used as a commercial motor fuel for more than 80 years. Propane powered engines are cleaner burning resulting in 10 to 15 percent less carbon dioxide, 20 percent less carbon monoxide and 50 to 60 percent less hydrocarbon and nitric oxide emmissions. Not only will your tailpipe emissions be miniscule, but your engine motor oil will virtually have zero by-products of combustion (carbon particulates and acids). Bottom line is your propane vehicle will have longer oil change intervals and an extended engine life.